The latest Unitron Tempus Moxi Kiss Pro hearing aids are now available on the new Tempus platform and continue to deliver on the high fidelity natural sound that wearers have come to expect. With a slim, smooth and push button free design, the Unitron Tempus Moxi Kiss Pro delivers the perfect balance of comfort, fit, finish, and color. Tempus is powerful new sound processing technology that builds on the North platform it replaces. With Tempus, Unitron has taken their passion for hearing aids to the next level and addressed the challenging problem of improving conversations in noisy and crowded environments. The result is a big step forward in speech discrimination, sound localization and overall comfort. The Unitron Tempus Moxi Kiss Pro uses a 312 battery and functions automatically without an onboard button. Manual control of volume and/or environmental program requires use of an optional remote control. Moxi Kiss Pro is the top performance level designed for active people who spend an above average amount of time in jobs that demand highly skilled listening environments which can involve background or crowd noise. Call to see if your Unitron Hearing Aid purchase qualifies for a free bluetooth streamer or remote control. Unitron Tempus Moxi Kiss – Compatible Accessories – can be selected as additional options to your hearing aid purchase. uStream– is a wireless remote control capable of streaming stereo sound from other wireless devices to Unitron hearing aids with the Tempus platform. The connection between the uStream and the Tempus hearing aids is wireless. uMic– is a wireless microphone capable of picking up audio and streaming it to the uStream or uDirect 3.
uTV3– Streams TV audio to the uStream or uDirect 3.
uDirect3– is a wireless remote control capable of streaming stereo sound from other wireless devices to Unitron hearing aids with the Tempus platform. The connection between the uDirect and the Tempus hearing aids is via a neck loop. Other devices such as MP3 players, FM receivers, can be connected directly to the uDirect. uControl app– allows a smartphone to be used as a remote control for Unitron Hearing aids with the Tempus platform. It is available for download from iTunes or the Android Store. 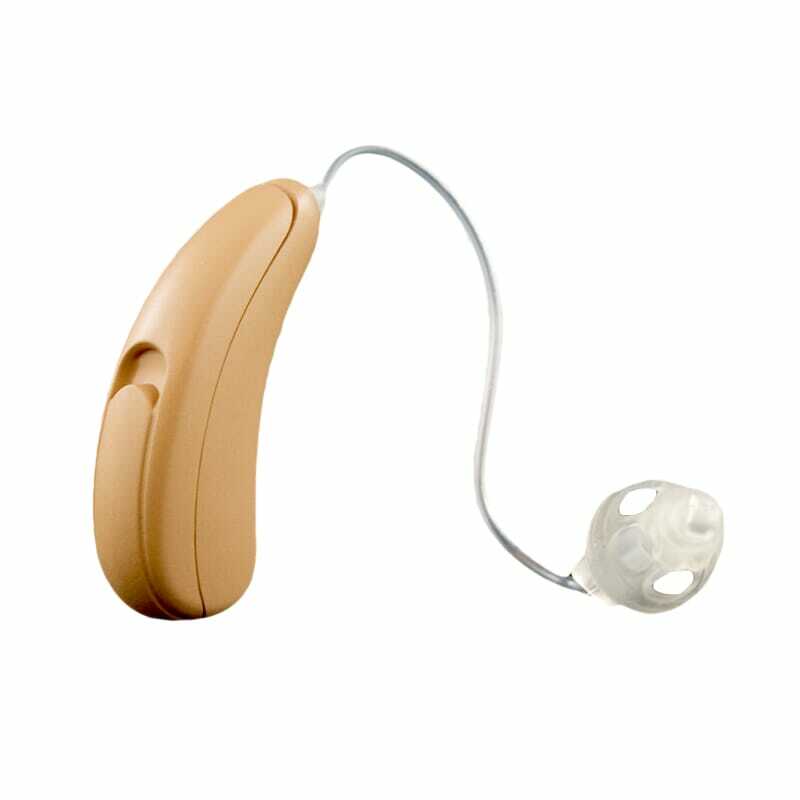 Remote Control 2– wireless remote control for Unitron Hearing aids with the Tempus platform. In addition to the Pro, the Moxi Kiss is available in 4 additional technology levels – 800, 700, 600 and 500 – to help match automatic performance to your lifestyle and budget. Preset program for reducing background noise while not in conversation. Preset program for enjoying a one-on-one conversation in a quiet settng. Preset program for reducing background noise to better isolate and understand speech. Uses microphones in each instrument to determine which direction speech is coming from. Connect to and stream directly from iPhone and Android smartphones.